This morning, our whole family was up before 4 a.m. That’s rare unless there is a plane trip somewhere wonderful in the offing, but today grandson Kameron Badgers joined friends and classmates from the Lone Star Circus School to promote the annual day camp that Lone Star Circus offers kids ages 5-15 here in Dallas. Camp is surprisingly affordable, and kids can drop in for a single day, or book one, two, or three weeks during the summer. Places are still available, but it does fill up, so if your kids want to run away and join the circus, now’s the time to sign up! Kameron attended its pre-cursor for the first time when he was 7 — and at 14, he’s pretty sure that life as a professional circus performer is in his future for at least a few years. Granddaughter Aaliyah has attended, and while she doesn’t see herself as a professional performer, she has a great time learning new skills and just playing. 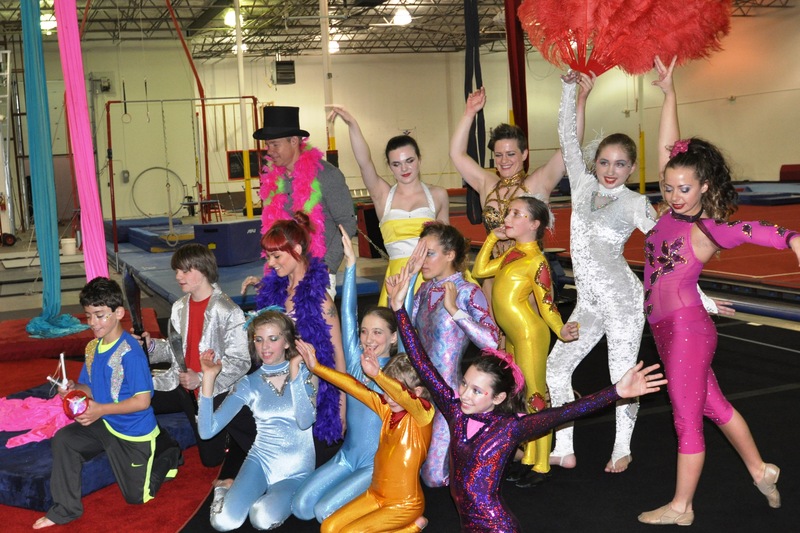 Tip for parents of 12-15 year olds who have few options for summer activities here in Dallas: Circus camp is even fun for the young teens. Kameron will miss camp this summer for the first time since it’s been offered, because he’ll be at Circus Smirkus in Vermont during one session, and he’s filming a TV series in Louisiana during another. But he’ll be taking classes whenever he’s in town this summer, so that’s some consolation. When my grandson first walked onto the floor at circus school, he was a shy little boy who would hardly look anyone in the eye, and he had absolutely no training or skills in gymnastics, tumbling, juggling, or any other performing art. By the end of camp a week later, he was happily hanging upside down from two silk panels, juggling, and showing off his new clowning, dance and hula-hoop skills. 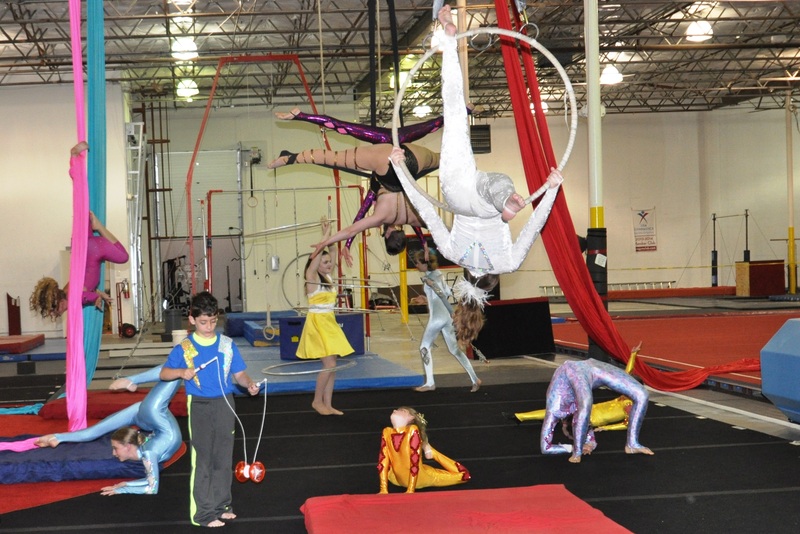 No matter what the child’s fitness level, size, age, or shyness level, I have yet to meet a child who doesn’t have a fabulous time at circus camp. They all come away proud of what they achieve. If you watch the video of this morning’s Lone Star Texas promo, you’ll see my grandson standing behind WFAA reporter Brian Glenn juggling machetes. But don’t panic. Knife juggling isn’t part of the beginner’s curriculum at Lone Star Circus. Kameron had four years of classes and performances behind him before he picked up the knives for the first time, and when he did, former Ringling Brothers performer Nic Rainone was right next to him, making sure he was doing it safely and carefully. As his guardian, here are the things I’ve learned about the lovely people who run Lone Star Circus. Gallery | This entry was posted in Acting & Circus and tagged AT&T Performing Arts Center in Dallas, circus classes Dallas, Dallas circus camp, Dallas circus school, Kameron Badgers, Lone Star Circus, Lone Star Circus School. Bookmark the permalink.